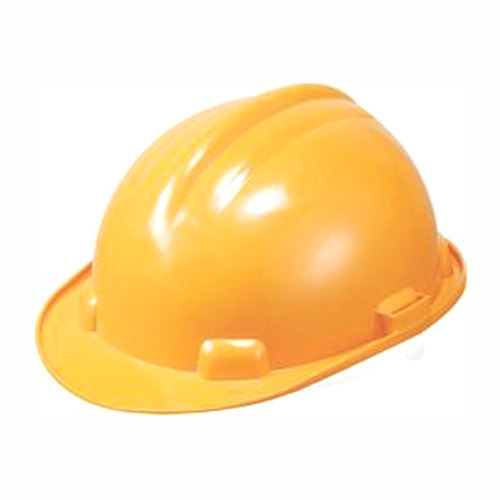 Our organisation is counted amongst the most distinguished manufacturers and traders of Road Construction Helmet. The professionals working with us manufacture these helmets using optimum grade material, which is procured from reliable vendors of the market. We also customise these products as per the requirements of customers at industry-leading rates. The range of Safety Nets & Helmets manufactured and traded by us, at "Varun Textiles" is considered to be amongst the finest in its league since its inception in the year 2012. The range is made up of the finest products like Synthetic Fabric Felts, Protective Nets and Packaging Bags and has a high demand in the market. Manufacturing of this range is commenced using the finest raw materials and modern machines, in accordance with the set industry norms and guidelines. Because of this, the offered products are characterized by superior strength, high durability and resistance to shrinkage. In addition, the offered range is priced at the most reasonable rate possible. Our infrastructure, laced with all the required machines and equipment, helps us in the attainment of several of the firm's goals and objectives, with optimum ease and efficiency. For reasons of dominating the market, the facility is regularly upgraded. Partition of the facility into several units, is done in order to attain superior and finer management of the operations. These units are led by some of our highly skilled and experienced professionals, who work hard to increase the firm?s productivity and standardize the quality of offered products. Further, our abidance by the industry set norms and guidelines, has helped us in acquiring several highly reputed clients.